With the start of September behind us and the back to school rush slowing down, it’s the perfect time to reflect on the summer and take a breath of relief knowing the first few days have been conquered. 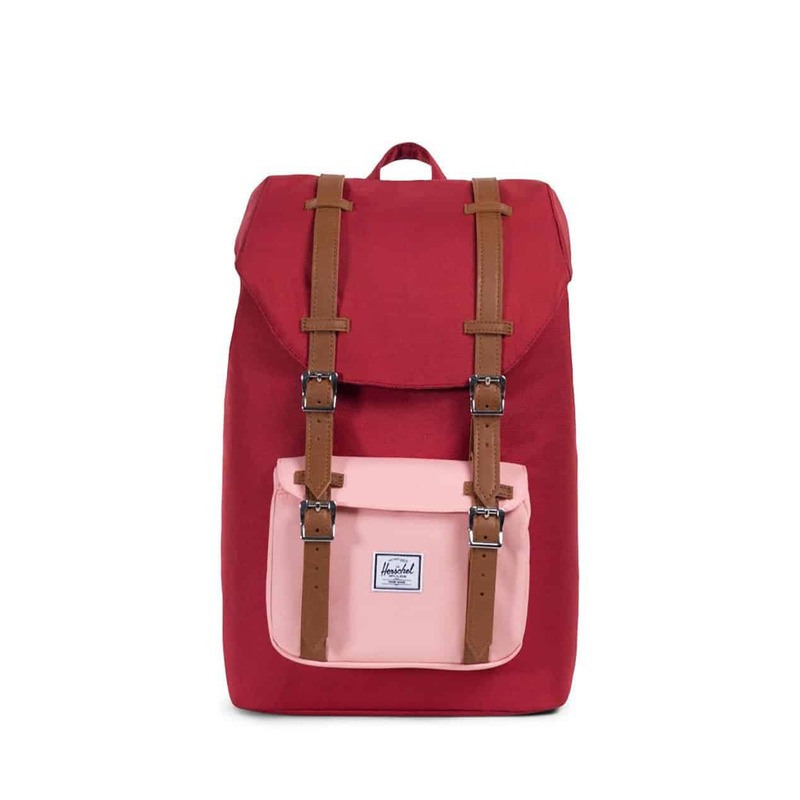 Now is also the perfect time to shop for a new school bag! 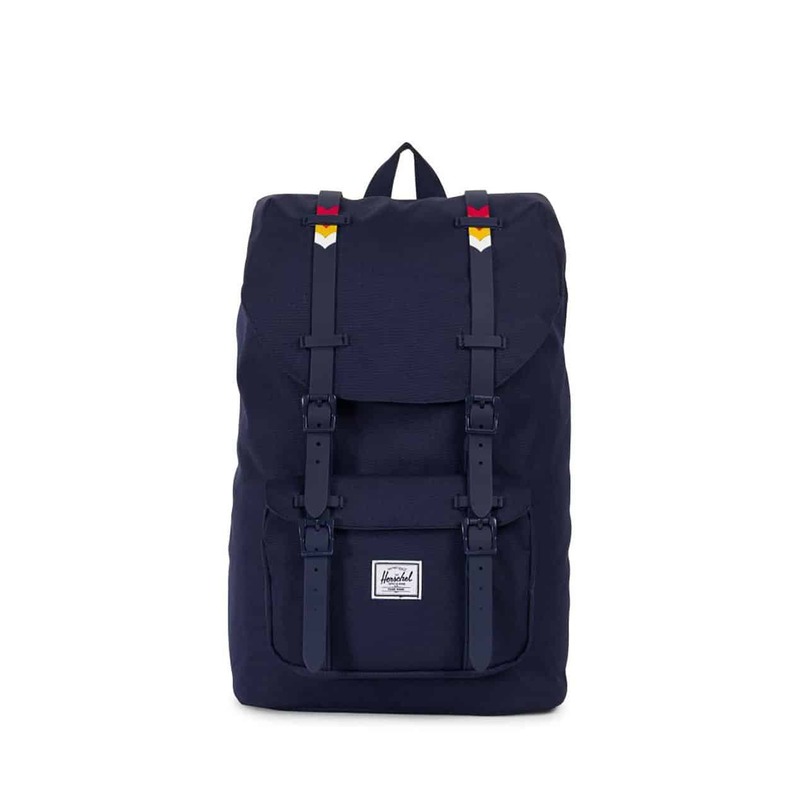 Now that book costs and tuition fees have most likely been taken care of, treat yourself with the Herschel Supply Co. Little America backpack. 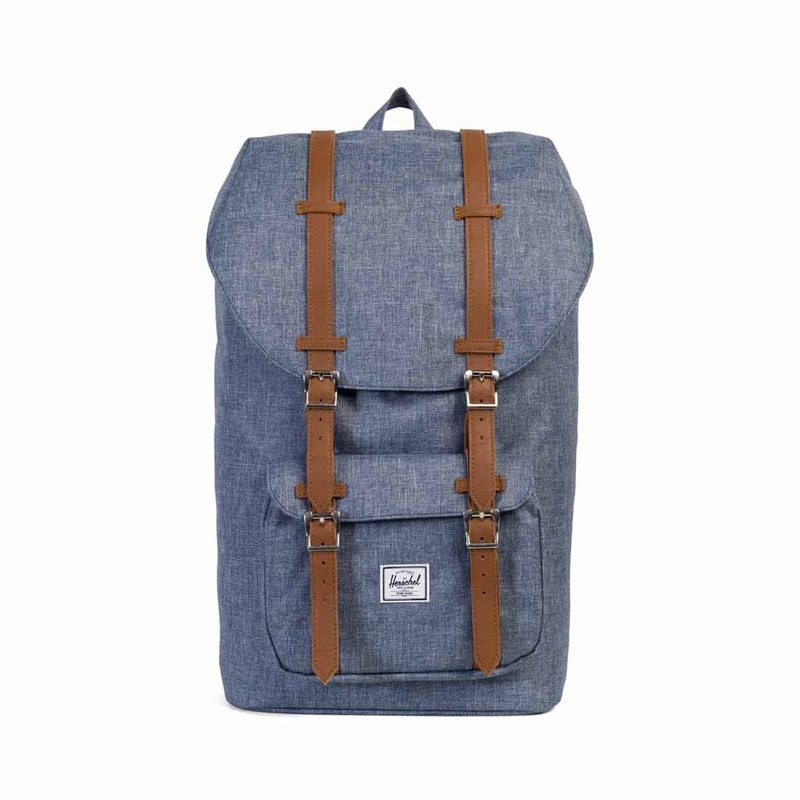 This must-have urban bag is a hit among students young and old and is simply a great and stylish backpack. 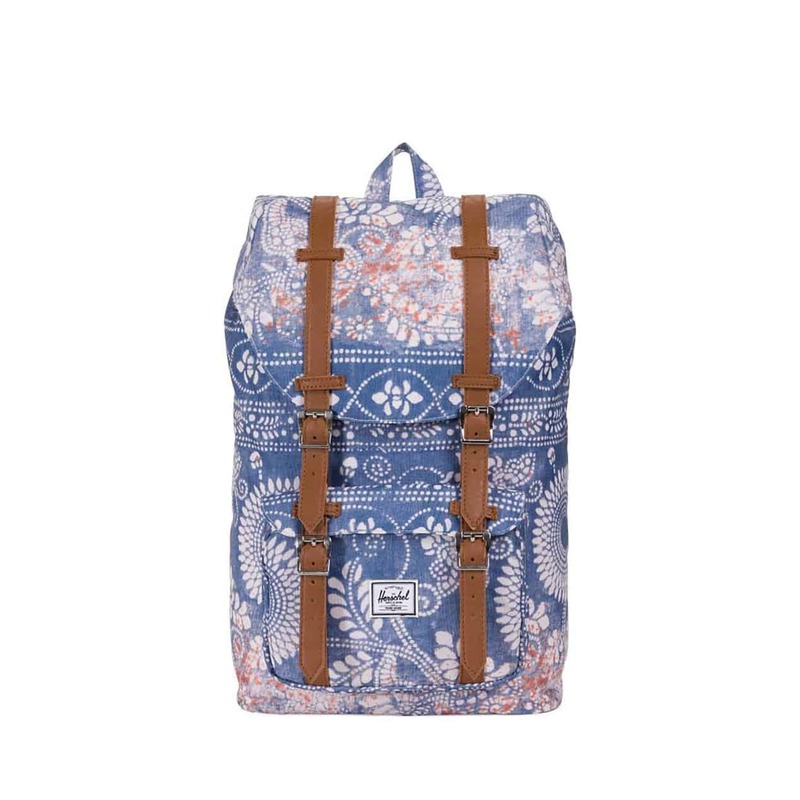 Available in a variety of colours and designs, the Little American backpack is a backpack icon. This timeless classic has been a favourite for a while and it’s no surprise why. Choose from unique patterns or eye-catching solids and find the Little America that is perfect for you. Simple yet stylish and deceivingly robust, the Little America is available in a 14L (mid-volume) or a 25L model. 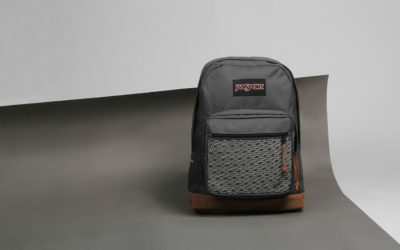 Both sizes showcase the classic Little America look with a set of two magnetic strap closures on the front and a cinch top closure on the main compartment. 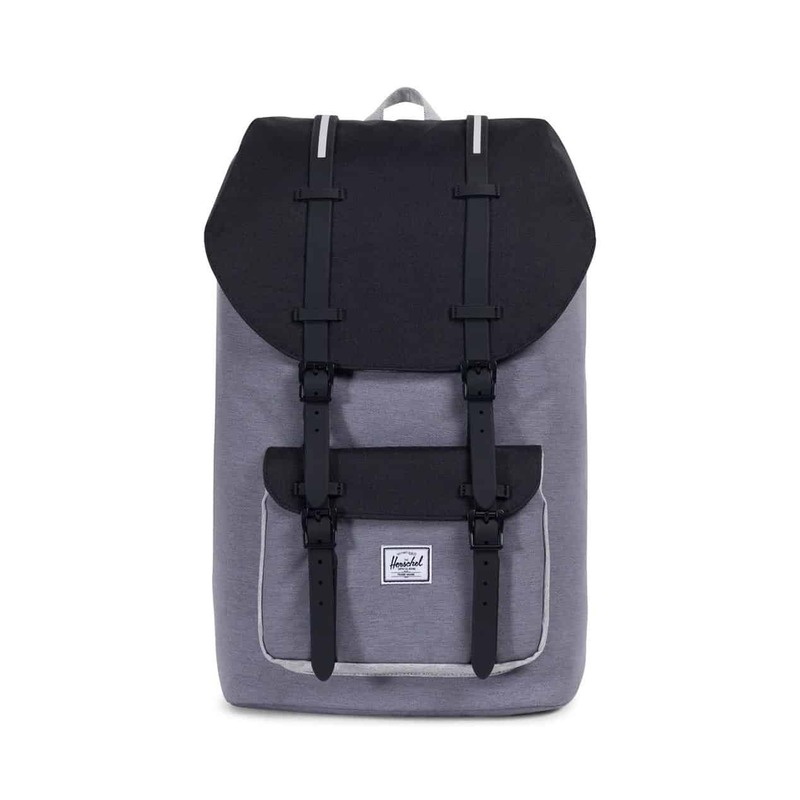 Located inside the pack, there is a fully padded and fleece lined laptop pocket big enough to store a 15″ laptop in the regular backpack and a 13″ laptop in the mid volume model. The essential feature for any modern school bag. 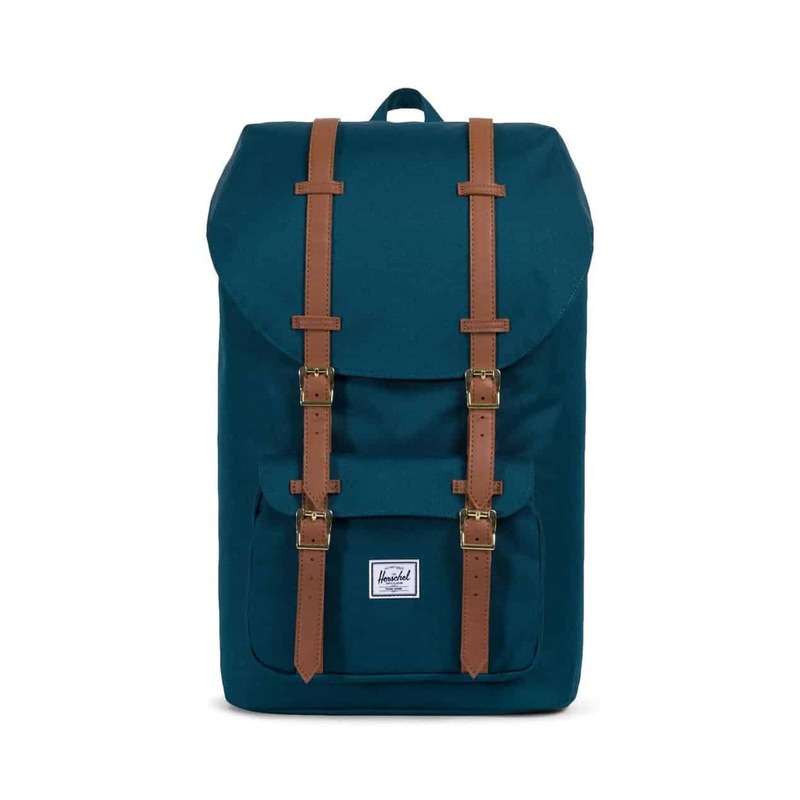 Each bag also has a small zippered pocket located on the front of the backpack which is the perfect spot to store keys, a phone or even your wallet if it’s small enough. 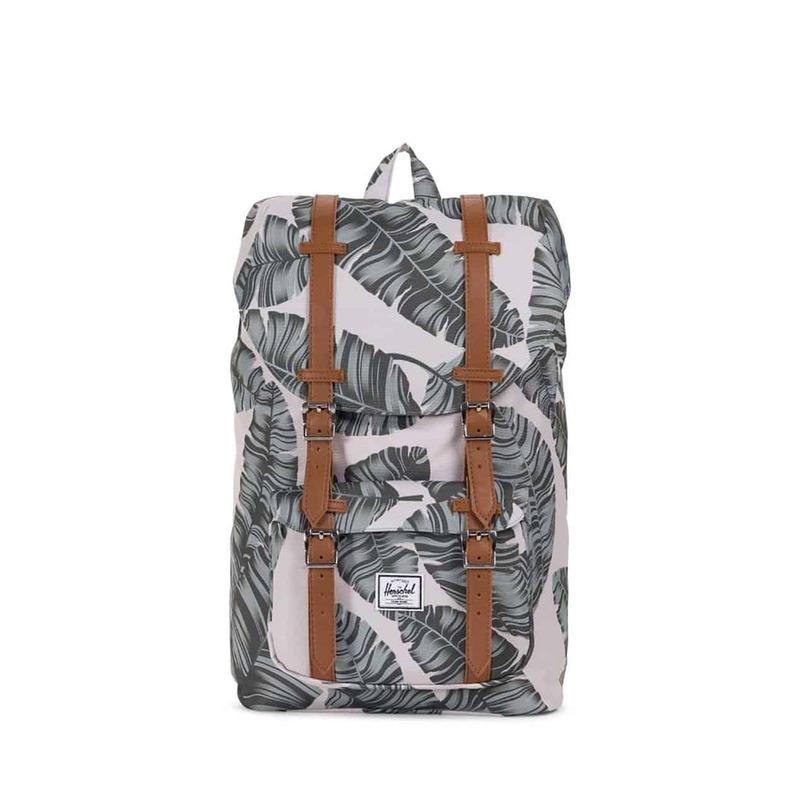 Inspired by the look of mountaineering backpacks, Herschel Supply Co. quickly adopted the popular design. Today, the Little America is a must-have for urban adventures. 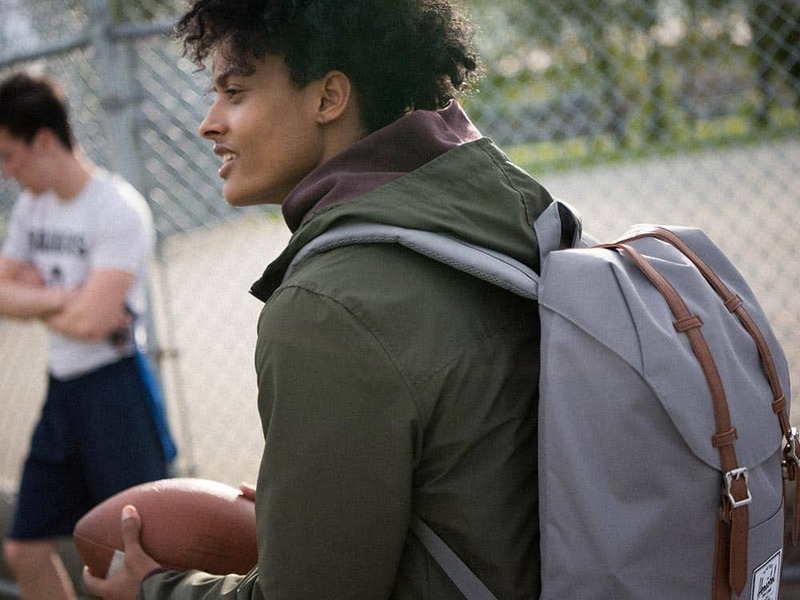 From morning classes to weekend’s away, the Litle America can be seen on schoolchildren as young as preschoolers and adults commuting to their 9 to 5 or enjoying weekend getaways. 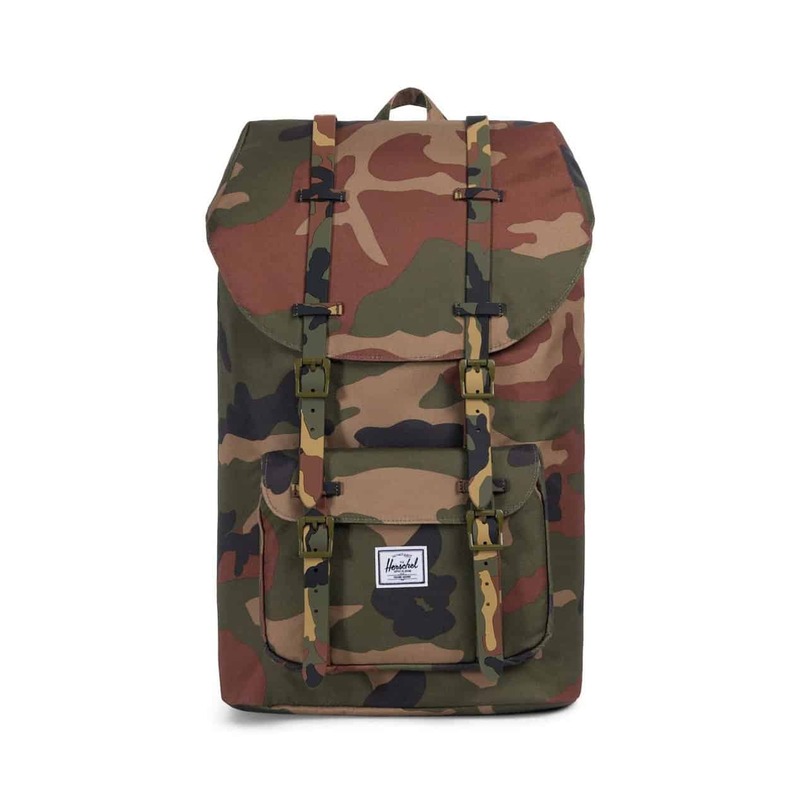 Whether you choose the mid volume backpack or the regular, Herschel Supply Co.’s backpack expertise is evident. From the ventilated air mesh back padding and the contoured shoulder straps, to the classic design and bold colour combos, the Little America is all about function, versatility and style.